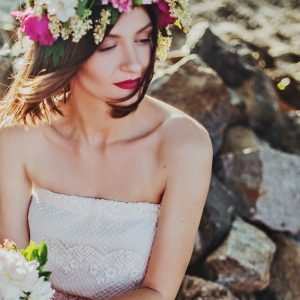 Whether you normally wear makeup or not, your wedding day is the perfect reason to have a professional makeup artist, after all it is one of the biggest days of your life! 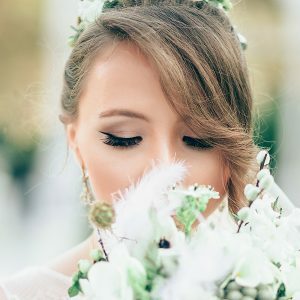 I am there to make you look and feel beautiful so in them final hours before your wedding ceremony you can sit back, relax and take in every moment, the laughter, tears… and the prosecco! A trial included in the price, is usually scheduled 6-8 weeks before the wedding day. The trial is our time to meet, chat about your upcoming day and together create your desired look. When you leave the trial you will feel happy, love your makeup and be confident that your makeup will look flawless, last all day and look amazing on camera. On the day of the wedding I will arrive where you and your bridal party have chosen to get ready. As I only book one wedding per day I am exclusively yours right up until you are ready to leave. I will be there to see the dress, do the final lipstick check, and to wave you goodbye before you go onto have the best day ever! If you have other members of your Bridal party, Mother of the Bride and/or Bridesmaids who also wish to have their makeup done professionally on the wedding day the more the merrier! If you are attending a special event or perhaps it’s your birthday or engagement party, you can always find a reason to have a makeup artist! Let me create the perfect party look for you that will last all day and night meaning the only thing you have to do is find the outfit! Are you travelling abroad for your wedding? Or would like to do your makeup yourself on your wedding day? Perhaps you would like some product advise, hints and tips to take your usual makeup look from everyday to beautiful and bridal inspired? This service is for you! This session will be bespoke to your needs so you can achieve your desired look and use your new found knowledge over and over again in the future! 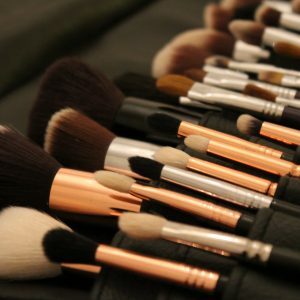 A list of the products used* and discussed during the session will be emailed to you afterwards, which then leaves you with the fun part of going shopping for makeup ready for your big day! *Samples of products will be not be provided.